Why make RS your home of engineering? Where do you go when you need a solution? No matter how big or small the problem you encounter, we’re here to help you take on whatever life throws your way. That’s why we’re your home of engineering. RS is the only company that can offer engineers a place to research, design, prototype, build and maintain their product or application. Across the design, build and maintain spectrum, we want you to get that ‘welcome home’ feeling when you come to RS. Why make RS your home? We know what our customers need, and make things easy for them. We offer you reassurance that, with a broad range of products which is constantly growing, everything you need is housed at RS and available at the click of a button. We have an outstanding breadth of products and services across all markets and applications. Specifically our extensive range of technologies, new products and DesignSpark tools. With brand new products constantly being introduced, you can be at the forefront of your field. We offer a high-quality own label range of products with our RS Pro collection, which provides high-performance components at great-value prices. But that’s not it. We boast excellent supplier relationships with the industry’s leading brands so that you can pick the right products for your requirements and get them all in one place. That means you can be assured of competitive pricing without having to shop around. We have 500,000 products in stock globally, and they can be delivered via a global network of distribution centres. And for the times when you need a little bit of extra assistance or guidance, our dedicated customer service and technical teams will do everything they can to help. We have the solution for every one of your needs and offer a personal service to each of our customers. We want engineers of all disciplines to feel at home when using our services, and to always make us their first choice. But we do more than just offer products – as a business, we feel it’s vital to support the ambition and inspiration behind each and every engineer who engages with us. 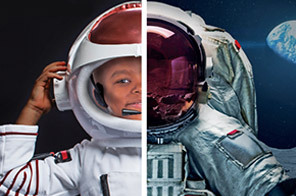 To encourage future generations to follow their dreams, we’re sharing and supporting remarkable real-life stories from our customers and suppliers who have achieved incredible feats. Experience the extraordinary journeys of people in our industry and learn more about how we’re here for the inspired. Engineers are people with big ideas – and for that, there’s DesignSpark. We understand what you want to know, and want to help you quickly and easily source solutions to your problems. That’s why we created DesignSpark – an online community for engineers which gives you additional tools and expertise to turn those big ideas into reality. Discover more about mechatronics with articles about mechatronics on the move and the application of sensors in mechatronic technologies. We recently partnered with some of our top suppliers to discuss current trends in the engineering industry. Watch the video to find out how they’ve seen the field change throughout their careers, what their thoughts are on the impact of mechatronics, and what they predict for the future of engineering when everything is becoming digital. Do you know how many products go into building offshore and onshore wind farms? Our infographic shows you how many can be found at RS! DesignSpark is the home of our engineering community. It’s an online platform which allows passionate engineers to share ideas and find resources or tools to help with their projects. Check out some of the fantastic articles DesignSpark offers, written by other engineers! The team at the Raspberry Pi Foundation have been developing the next generation of Raspberry Pi Compute Module, known as CM3. Introducing the Intel RealSense ZR300 camera, featuring object and person recognition and 6DoF Simultaneous Localisation and Mapping. Discover more about the Braccio Tinkerkit and how it’s a low cost and fun way to start your journey into robotics. Check out this guide to the MeArm Robot Kit V1.1, which comes with all of the products you need to build a complete robot arm. 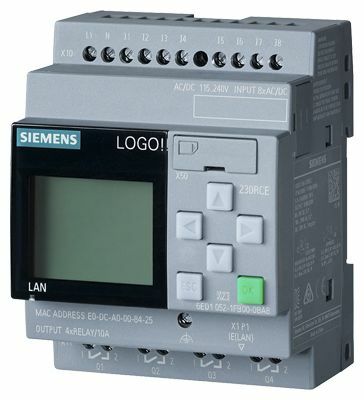 Discover the components inside a complex PLC – from digital inputs, serial ports and wire-to-board connectors, through isolation, memory and a whole range of passives. Find out how they combine to control industrial manufacturing processes. The term ‘mechatronics’ was first coined in 1969 by Tetsuro Mori, an engineer at robotics company Yaskawa Electric Corporation. It’s a combination of the terms mechanical and electronics. 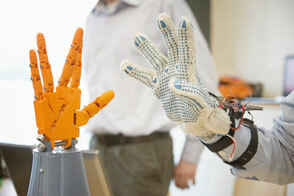 Mechatronics merges concepts from computer science with mechanical, electrical and control engineering in order to design, build and operate products. It’s currently applied in everyday life for solutions in transport, optical telecommunication and biomedical engineering, to name a few. 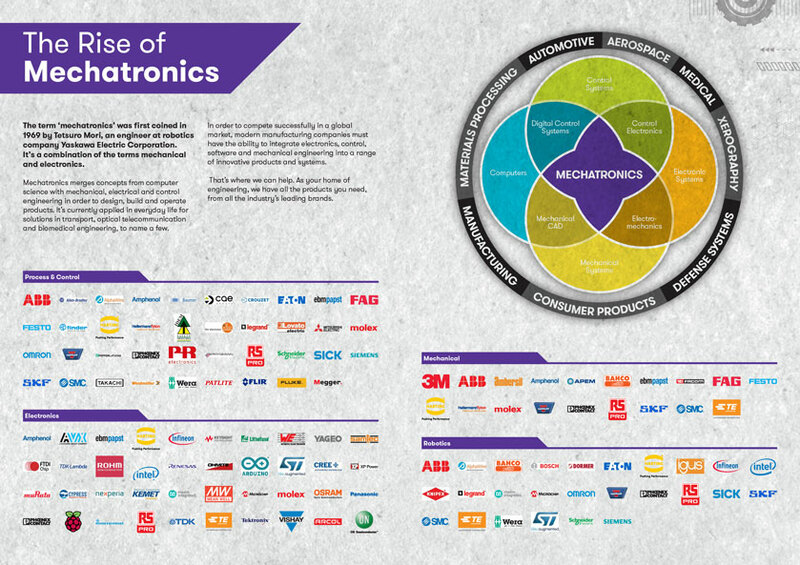 In order to compete successfully in a global market, modern manufacturing companies must have the ability to integrate electronics, control, software and mechanical engineering into a range of innovative products and systems. That’s where we can help. 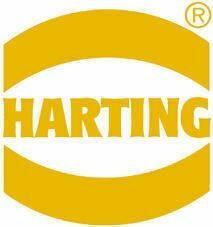 As your home of engineering, we have all the products you need, from all the industry’s leading brands. In 1768, the Swiss watchmaker Pierre Jaquet-Droz decided he needed a way of boosting sales. With his son and a musician, Jean-Frédéric Leschot, he constructed three intricate mechanical robots. The most complex could be controlled by a wheel to write out letters based on the settings of 40 cams. With the technology of the 18th Century, Jaquet-Droz and his colleagues had to limit themselves to mechanical gears, levers and pulleys. But they still managed to create automata that continue to captivate visitors to the museum in Neuchâtel where they are exhibited. Today’s robot builders have many more options at their disposal. Devices such as the stepper motor might seem to be the obvious choice for building movement into systems. But there are often cases where another technology makes the most sense. Even jelly-like materials can be a force in programmable motion. In robotics and similar mechatronics applications, the stepper motor remains a popular choice. The motion need not be rotational. Leadscrews and similar mechanical components, such as those made by Igus and Thomson Linear, readily translate the rotation of a motor into linear movement. Motors such as Faulhaber’s Bipolar Disc Magnet Stepper are often supplied with integrated leadscrews. The stepper motor builds on the basic DC motor, which rotates as long as a current is applied, but makes it possible to move easily to a set rotational position before stopping. This approach supports applications that need precise positioning and speed control. 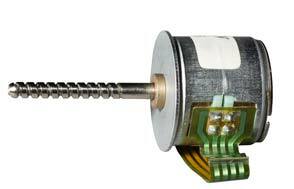 The stepper motor is built around a fixed stator that employs a number of separate coil windings. This controls the position of a rotor that either uses permanent magnetic materials or its own coil windings to form a magnet when current is applied. The fixed coil windings are used to generate magnetic fields dynamically at two or more positions around the stator. When power is applied to the motor, the magnetised rotor will rotate to the most stable position it can find, aligning its own magnetic field of the active coil on the stator. When the time comes to move to a new position, the coil powers down and is replaced by another, forcing the rotor to move again. 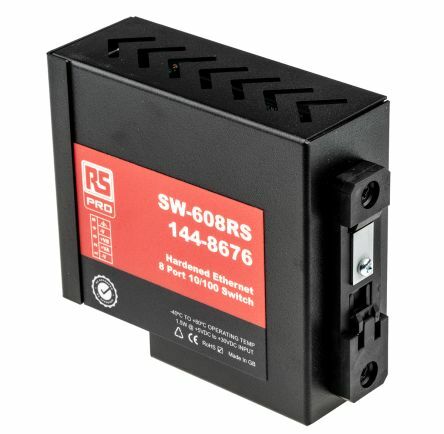 Stepper motors such as the RS Pro Hybrid offer discrete step angles as small as 0.9°. However, the positioning accuracy of stepper motors is not limited to discrete steps. Microstepping under microprocessor or logic control makes it possible to build highly accurate positioning systems with arbitrary effective step angles. Instead of entirely removing current from a coil as another is powered up, under microstepping the current is reduced to one while the current in another increase. Control of the current balance makes it possible to implement smaller virtual steps between the full steps that are implemented physically. Although the stepper motor allows for near-continuous motion control through microsteps, it can have disadvantages where high speed is important. The motors are often used at low speeds to provide maximum control and torque. However, some products such as the Portescap Disc Magnet stepper motor can achieve high acceleration and rotational rates of more than 10,000rpm. A continuously variable design such as a brushless motor can provide the combination of high torque and accurate positioning. Traditionally, AC motors were used in applications because of their relatively low cost and where the accuracy of motion is not a priority. Issues with torque at low speed have seen increasing amounts of processing capability applied to AC motors. Field-oriented control techniques are now widely used to improve the efficiency of AC motors and their torque at low speeds and have gradually turned the brushless AC motor into a contender for situations where high power and accuracy are required together. Under field-oriented control, a mathematical model of the motor’s magnetic fields is updated many times a second to provide an estimate of the relationship between voltage, speed and torque inside the motor. Closed-loop control algorithms adjust voltage and current levels dynamically to each of the windings inside the motor to not just maximise torque but also move the rotor to specific positions. An advantage of these control techniques is that the estimates are often accurate enough to dispense with the use of additional position sensors, which helps to reduce overall system cost. 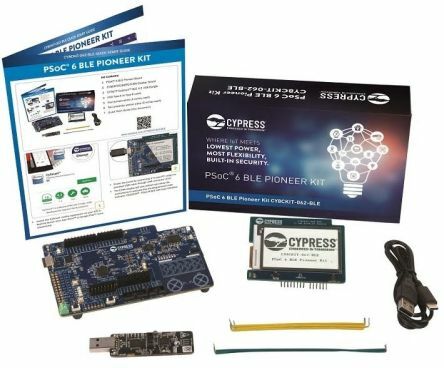 The key requirement is for a high-performance processor, such as the Analog Devices ADSP-BF547 Blackfin embedded processor, in addition to dedicated system-on-chip (SoC) controllers that simplify the implementation of field-oriented control for users. Examples include the Toshiba TMPM370 family of SoCs, which combine an ARM Cortex-M3 processor core with a dedicated field-oriented control coprocessor and motor driver interfaces. For situations where less force is required but high accuracy in both directions is essential, the voice-coil actuator is a good choice. The voice-coil actuator is an implementation of the Lorentz-force principle. This determines that the force of a current carrying conductor in a magnetic field is proportional to the field strength and the current. The VCA has become the motor of choice in tiny mechatronic systems such as the focusing mechanisms for smartphone camera lenses. This is because changing the direction of current direction reverses the direction of the force. As a result, the voice-coil actuator becomes a highly accurate bidirectional actuator that is able to support the iterative binary search-type process that allows a camera lens to focus automatically. As well as the rotary form found in lenses, linear versions are available. In electrical terms, voice-coil actuators are single-phase motors and so can be controlled in the same way as simple DC motors. They tend to perform well in terms of audible noise, hence their use in mobile devices, as well as offering low hysteresis. A different approach to motion control is to use pressurised gas or liquid to push against pistons. Because they are less prone to liquid spills, pneumatic systems tend to prevail in smaller mechatronic systems. 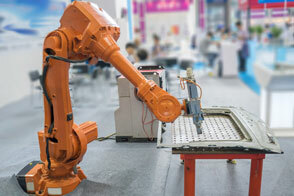 Though associated with large industrial controllers, pneumatic motion control provides the opportunity to build robots that move similarly to humans and animals. The pistons can be deployed along joined limbs to act as artificial muscles. They have been used, for example, in rehabilitation robotics where they help people recovering from serious limb injuries to stand and move around or to provide resistance in physiotherapy exercises. In many situations, continuous control over motion is not necessary. The movement may simply be to open or close a valve: an action that may well form part of a hydraulic or pneumatic system. This is where the solenoid provides a solution. It consists of a conductive coil wrapped around a mobile metal armature. The solenoid makes use of Faraday’s law of induction: the armature moves in a direction that increases the coil’s inductance. Typically, applying a current to the solenoid forces the armature to a new position. A common configuration is a normally off solenoid in a valve: flow is blocked by the armature when no current is applied. When a current is introduced, the armature moves to a position that allows fluid or gas to flow. An example of this type of solenoid designed for pneumatic control is the Parker Viking Extreme G.
Although many solenoids are designed for simple on-off states, proportional solenoids are also used in some designs to provide variable control. The proportional solenoid balances the maximum force that can be applied by a current against a spring. Starting from very low levels, increasing the current gradually moves the solenoid to its full reach. An issue with the proportional solenoid is that of hysteresis: relaxing the current to a certain level does not necessarily restore the armature to the same point reached as the current was ramped up to that level. Where low hysteresis is required, a linear voice-coil actuator is likely to be a better choice. Looking into the future, innovative materials such as hydrogels will provide additional ways of controlling motion. Some polymer hydrogels can yield large changes in volume when an electric field is applied. This leads them to situations where an artificial muscle is required or where active cushioning together with movement is an advantage. However, such materials are still in their infancy and the electromechanical systems described above will remain the key choices for mechatronic designers in the near future. But it is clear that there are many choices available thanks to the marriage of electronics and mechanics, each providing its own advantages for a particular scenario. Today’s internet of things (IoT) is only the start of a revolution in making our environment smarter. As it is focused on sensors feeding data into smart software running on servers, it appears to be a largely passive system. The IoT supports decisions rather than implementing them. Mechatronics closes the loop by providing the active interaction that will deliver greater convenience and efficiency across industry, the home and in transportation. Robots will help us carry out daily chores and support manufacturing and service delivery. Some of their functionality is being used in autonomous motor vehicles that ferry us around. To do so safely and efficiently, these robots need to have an understanding of where they are. Older generations of factory-automation robots and production machinery did not because they operated in safety cages and followed predictable, pre-programmed trajectories. In order to be more flexible and responsive, the next generation of production equipment needs to monitor its own motion and that of others in the workplace. As a result, there are two elements to the mechatronics sensing problem. One is to ensure that the position of each moving part is consistent with the motion-control algorithm’s internal model. A little over a decade ago, the sensors required for this kind of analysis by a mechatronics-based system would not have been technically possible. Even the simpler more basic ones available than would have been expensive to produce. But the launch of the Nintendo Wii changed the way designers began to think about incorporating motion sensing into their systems. The Wii’s handheld motes included accelerometers to sense how a gamer moved them around. Apple’s iPhone took motion sensing to the next level. The product and the many smartphones it inspired incorporated not just accelerometers. Today’s mobile devices now contain accelerometers, gyroscopes and pressure sensors as well as receivers to pick up Global Navigation Satellite System (GNSS) services. The result is a collection of real-time inputs that can pinpoint the location of the device practically anywhere in the world. 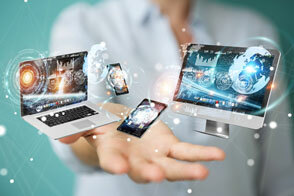 There is a reason why mobile devices such as smartphones incorporate a variety of sensors to detect motion. Though not designed expressly for the task, a group of accelerometers arranged orthogonally along the x, y and z-axes can detect rotation as well as movement along a linear path. But the accelerometer suffers from inaccuracies that can quickly lead to errors in position. Furthermore, accelerometers can be confused as to when the system is not actually moving. A continuous source of error is that of the acceleration caused by gravity. It can be hard for an accelerometer on its own to distinguish between these two acceleration components. A high-pass filter provides one mechanism for filtering out the gravitational component of acceleration while maintaining input from the expected faster-changing acceleration components resulting from physical motion. A high-pass filter often needs to be coupled with a low-pass filter to remove sources of noisy and high-frequency low-level vibration. Even then, the accelerometer can accumulate errors from the many noise sources that afflict it. The gyroscope, in contrast to the accelerometer, is designed for detecting rotational motion but also provides complementary signals to those from accelerometers. These are inputs that can cancel out the troublesome noise sources after digital processing. A different set of noise sources affects the gyroscope. Drift is the most common source of error, which accumulates over time. Calibration measurements on the gyroscope sensors themselves help reduce the errors that cause drift: providing a compensation value that can be added to the integration loop. 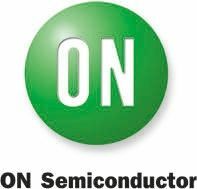 But in systems that provide more than one type of motion sensor, there is another option: sensor fusion. Sensor fusion, as the name suggest, covers a group of algorithms that combine the inputs from different kinds of sensors and uses them to build a virtual sensor that is more accurate and reliable than any of the separate elements. A number of techniques now exist for performing sensor fusion that works well for monitoring motion. An example now in common usage is the Kalman filter. At its core, the Kalman provides a weighted average of sensor readings. It is not just a simple average but also one that takes into account uncertainty. Updates that the algorithm regard as being likely to be more accurate receive a higher weighting than those thought to have a larger uncertainty. This ability to adapt to changes in sensor performance that seem unusual relative to the predicted state provided by the filter’s internal model provides more robust answers, helping to improve overall reliability. Sensor hub ICs have appeared on the market that simplify the integration of data from multiple sensor types and support sensor-fusion algorithms. With hardware-based filters, they can offload much of the workload from the host microcontroller. This can reduce system cost and reduce power consumption compared with entirely software-based algorithms. Further integration has yielded devices that combine hub functions with the sensors themselves and the processing needed to implement fusion technologies such as Kalman filtering. An example is the Bosch Sensortec BNO055, which is supported by the company’s FusionLib software. Thanks to its combination of accelerometer, gyroscope, geomagnetic sensor, the BNO055 provides the ability to sense motion across nine axes, with the FusionLib software tying the measurements together into a coherent whole. The integrated device frees customers from the need to develop their own drivers and fusion algorithms. Motion sensors on their own provide a robot with a consistent picture of its own movements. But to move safely, the machinery must be able to sense movement around itself. This is where the second broad class of sensors required for safe and efficient mechatronic motion becomes important. This class ensures the entire moving system does not collide accidentally with other objects and to ensure the system knows where it is. A variety of sensor technologies occupy this area. 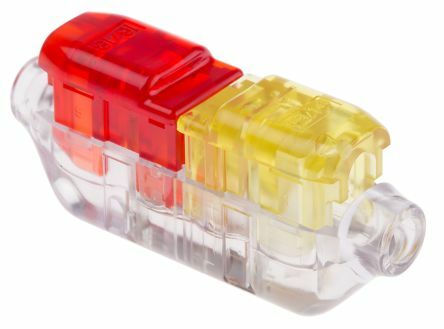 The simplest are sensors designed to probe for obstructions. A number of technologies exist that support this application. Some robots now employ pressure sensors on their surface so they can stop when they come into contact with an obstruction or an object they are expected to manipulate. Typically, this approach works with slow-moving limbs and motors and where the robot delivers comparatively little force. Light curtains as well as and infrared proximity sensors provide the means to detect obstructions without coming into contact with another object. Both use the reflection of waves bouncing off the target to determine the relative distance of the obstruction. 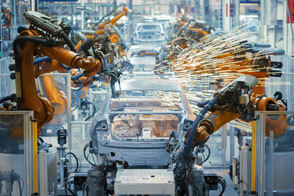 Cameras support more sophisticated control of mechatronic systems. They include not just conventional cameras but also time-of-flight cameras, such as Infineon Technologies’ REAL3 sensor that can map out complex 3D spaces in the field of view. The rise of virtual-reality technologies will help bring down the cost of such devices, bringing them into the reach of many autonomous mechatronic systems in much the same way the market for ADAS is helping to develop lower cost lidar and radar sensors. 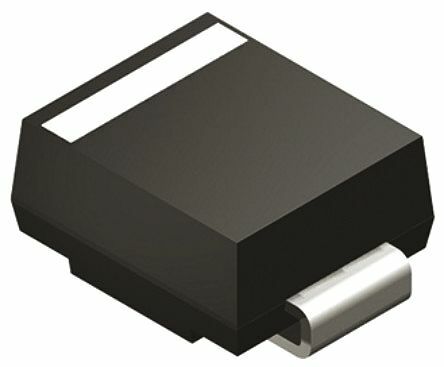 An example of radar technology being incorporated into the industrial environment is Infineon’s BGT24M/L family of mm-wave ICs. The key to making use of more advanced sensors such as radar and 2D and time-of-flight cameras lies in advanced algorithms based on AI technologies such as deep learning. 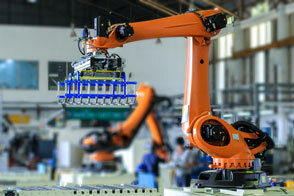 A key issue for mobile mechatronics is one of power consumption. Originally, deep learning was implemented on high-end microprocessors and graphical processing units (GPUs) with commensurately high power budgets. Today, machine builders have available to them specialised devices such as the Movidius Myriad-2 SoC. Already employed in automotive driver assistance systems, the Myriad-2 is a vision processor optimised for deep learning and real-time inferencing. Supported by freely available software frameworks such as Caffe and Tensorflow, mechatronics integrators can explore its capabilities easily using the convenient Neural Network Compute Stick, which plugs into a USB port. Through advanced sensor hubs and development-focused tools such as the Neural Network Compute Stick, it is becoming much easier for developers working on mechatronics and robotics systems to upgrade the functionality of their designs and help them become more mobile. As the market grows, it will help drive costs down further and provide additional solutions, making intelligent motion a core part of the burgeoning IoT.